I am very excited about finally being able to show you the three polishes from the upcoming Arcus collection by Cirque. The Arcus collection consists of 12 polishes and is slated for release on June 3rd! It is my understanding that these will be priced between $13 to $15 each. Up for first review is none but the Bejeweled! And behold, the absolutely stunning rainbow holographic finish with this royal blue linear holographic polish is to die for! Here I have the Orion Nebula which is another beautiful polish by Different Dimension. Right off the bat, I want to quote what Missi wrote on her etsy shop: “This is not a polish for the faint of heart as it does need work to get some of the bigger holographic fuchsia glitters out.” I like it that she was honest about her product. 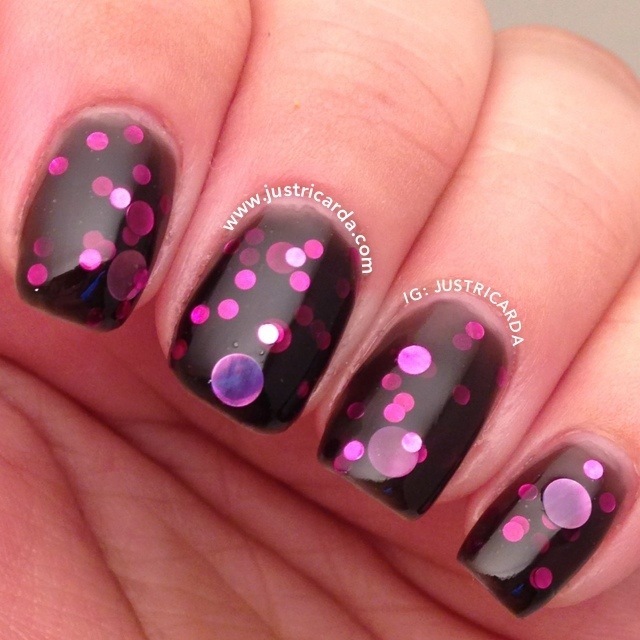 Orion Nebula is this black jelly with different sized fuchsia circular glitters. The largest circular ones seem to be holographic in nature because it reflects off the light. The black jelly needs to be applied in thin coats. One needs to have patience in allowing these layers of glitter to build up to the point where you can achieve this. I’m guest blogging over at Tips and Topcoat today! Louise is one of my dear friends and she had asked me to do some guest blogging for her. I’ve done these four swatches from L’Oreal Paris’ limited edition Versailles Romance collection (Spring 2013) for the guest post. 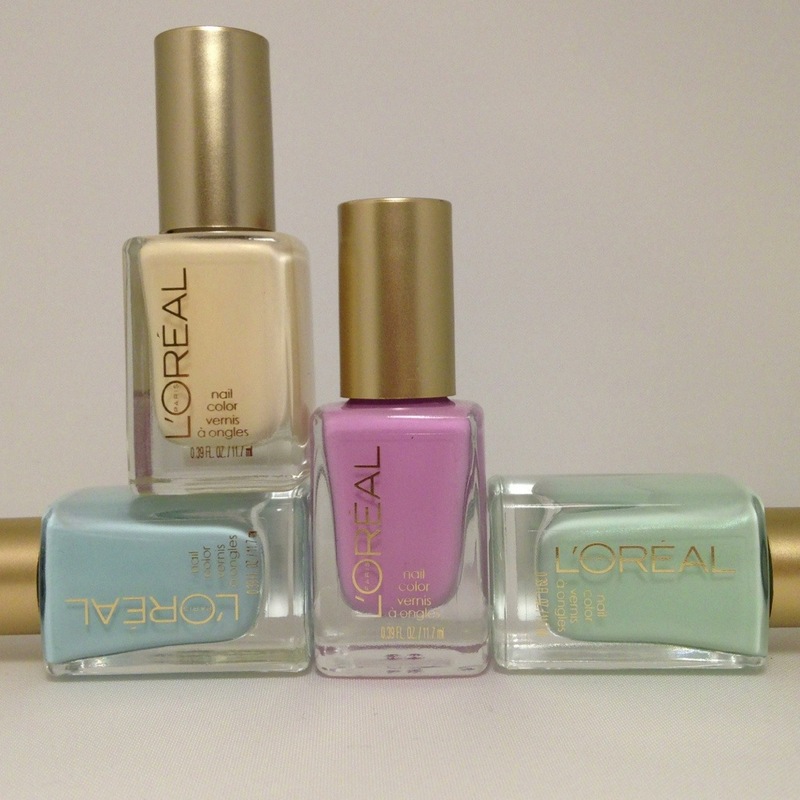 These four colors are Royally Yours, Creme Puffs, Pistachio Dream, and Lacey Lilac. Here’s a little sneak peek of the polishes that were reviewed. 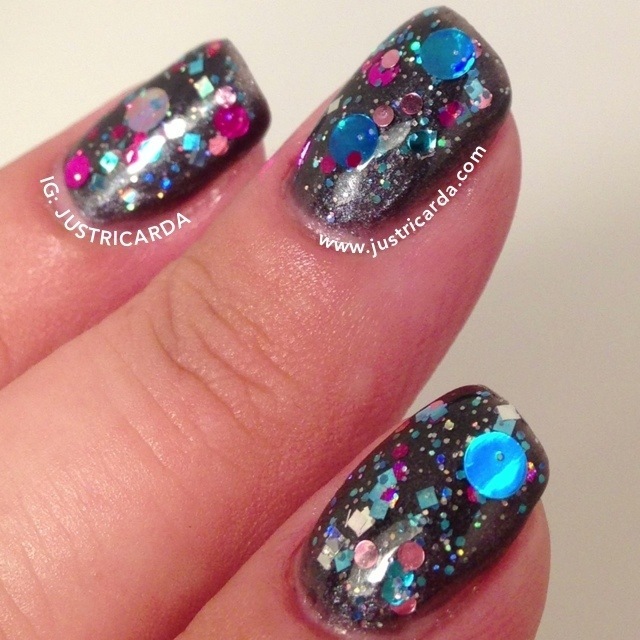 Today I have for you a polish whose holographic glitter has rendered me speechless. Wish You Were Here is from Different Dimension’s new Pink Floyd inspired collection called Echoes. Wish You Were Here is also a name for both the song and the album by Pink Floyd. I can’t seem to find the words to explain how awesome Wish You Were Here is. I feel like I have to put in some sort of disclaimer to warn readers of potential drool-fest. This glitter topper, Night Life, is by Liquid Glam Laquer. It hypnotizes me! 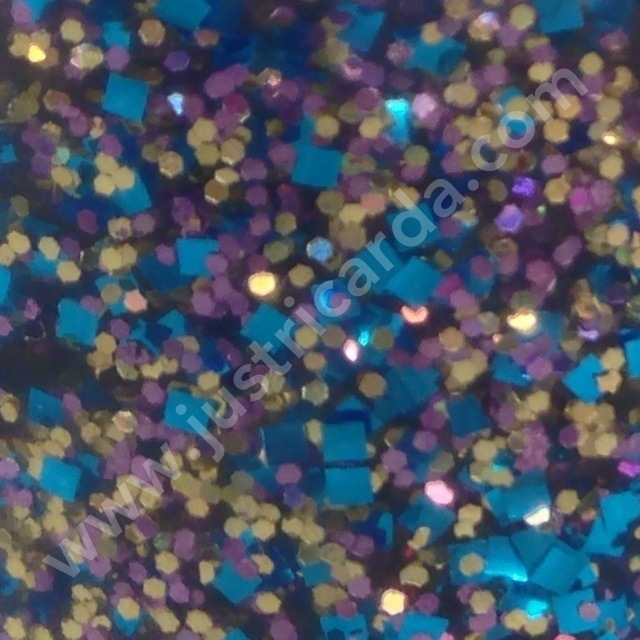 There are blue square glitters and small gold and metallic violet glitter bits in Night Life. I will let this macro shot speak for itself. Sorbet is one of the new colors being added to the Liquid Glam Laquer line just in time for the summer. It’s being released on June 5th! 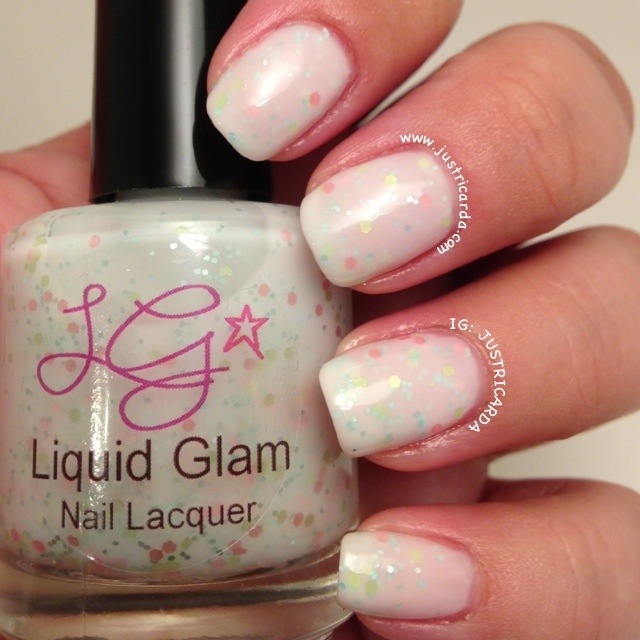 Sorbet is a milky white crelly with these matte pastel glitters (pink, blue, green) in various shapes and sizes. Sorbet looks very soft and feminine on my nails. It reminds me of clean freshly laundered linen. Like a clothesline of white and pastel clothing, towels and bedsheets billowing and floating to rise and fall in the summer breeze.